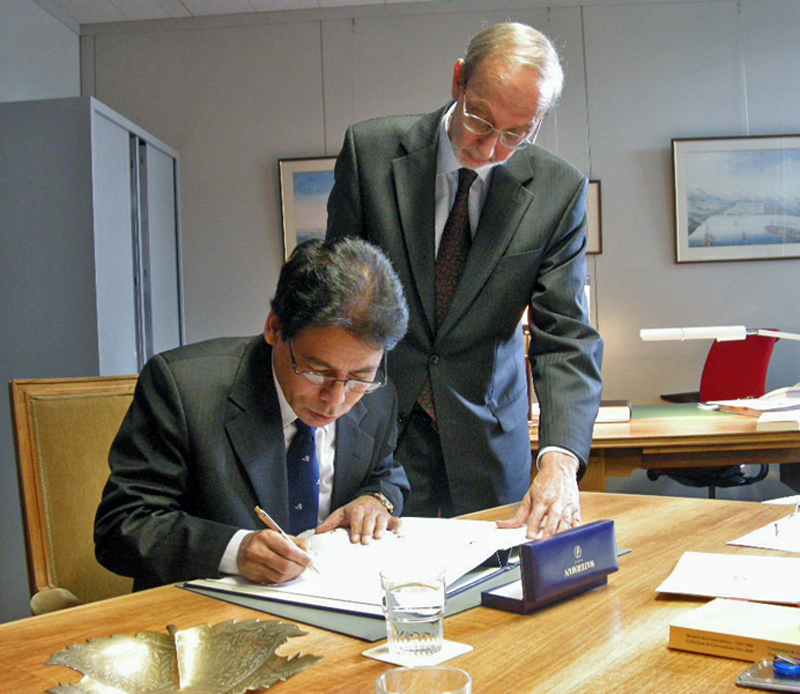 On Tuesday 28 April 2009, the Hague Convention of 29 May 1993 on Protection of Children and Co-operation in Respect of Intercountry Adoption was signed by H.E. Mr Pramesh Kuman Hamal, Ambassador of Nepal to the Benelux and the European Communities. Mr Deepak Dhital, DCM/Minister Counsellor at the Embassy of Nepal, also attended the short ceremony at the Ministry of Foreign Affairs in The Hague, as well as Mr William Duncan, Deputy Secretary General, and Mrs Laura Martínez-Mora, Adoption Programme Co-ordinator, as representatives of the Hague Conference.